After a sustained campaign of 15 years, Hindustan Unilever Limited (HUL), a subsidiary of UK-based Unilever, finally entered into a settlement to provide “undisclosed” ex-gratia amount to the victims of mercury contamination from its unit in Kodaikanal, Tamil Nadu. The settlement has been considered as success of a first ever litigation in India moved by industrial workers against exposure to toxic chemicals. A similar class action moved by the employees for damages before the High Court of London since the company is headquartered in United Kingdom will also be withdrawn in view of the settlement, according to the legal counsel of the employees, R Vaigai. The ongoing court battle between the workers, Tamil Nadu state government and HUL was supposed to be heard on Wednesday, when legal counsel of both the parties informed a Madras High Court bench that an agreement was reached between the two parties. In 2006, Ponds Hindustan Lever Limited Ex-Mercury Employees Welfare Association filed a writ petition against Hindustan Unilever Limited (then Hindustan Lever Limited), the Union of India and the State of Tamil Nadu. Vangai, representing the workers, approached the Madras High Court and invoked Article 21, seeking the Central and the state governments to protect the life and personal liberty of the workers. “However we have not moved a plea for compensation/ damages,” she added. In the writ petition these employees of HUL’s thermometer factory at Kodaikanal alleged that they were exposed to toxic mercury vapour during their employment leading to loss of life and exposure to severe health ailments. The petitioner wanted the court to direct the Central and Tamil Nadu governments to evolve a policy for economic rehabilitation and healthcare of the former workers and other victims who suffered exposure to mercury for which costs shall be borne by HUL. The former employees’ association also wanted the court to prosecute HUL for violation of provisions of Factories Act, 1948 and Water and Environment Act. They further wanted the Central government to revise the occupational health and safety standards with reference to mercury exposure in the Factories Act and compensation in Workmen’s Compensation Act, 1923. The high court bench appointed advocate Suhrith Parthasarathy as nodal commissioner to implement the settlement and posted the matter to March 28 for reporting compliance. 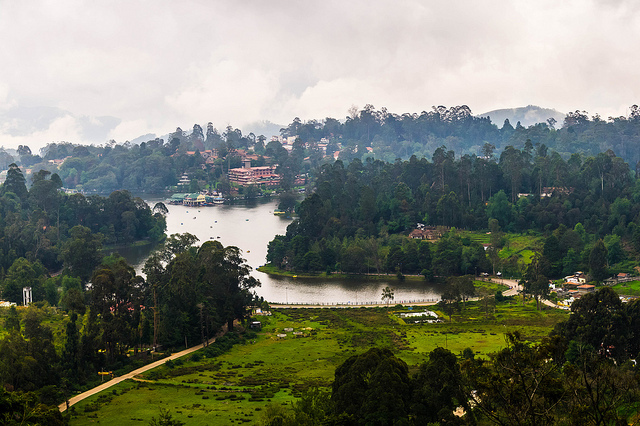 In 2001, the mercury thermometer factory operated by HUL in Kodaikanal was shut down by state pollution control board after the company was caught for dumping toxic mercury wastes in a densely populated part of town. By the company's own admissions, more than two tonnes of mercury have been discharged into Kodaikanal's environment. A 2011 Government of India study on workers' health concluded that many workers suffered from illnesses caused by workplace exposure to mercury. On the larger question of environmental damage caused by HUL, activists are saying that they have just won half the battle. “The much-delayed settlement is great news, but Unilever still has unfinished business in Kodaikanal. You can expect a high-decibel global campaign in the coming months to ensure that Unilever cleans up its mercury contaminated site in Kodaikanal to international standards,” said Nityanand Jayaraman, a Chennai-based writer and activist who has been part of the campaign since 2001. HUL, according to the activist, is still insisting on leaving up to 25 milligrams/kg of mercury in soil—250 times higher than naturally occurring background levels—even after clean-up. According to activists, that is far laxer than global standards and will harm the environment. The factory is located on a ridge surrounded by the densely forested Kodaikanal Wildlife Sanctuary. In the United Kingdom, where Unilever is headquartered, even residential standard for mercury in soil is 1 mg/kg – 25 times stricter than what HUL is proposing for an eco-sensitive area in India. Environmental organisations such as The Other Media have declared that they will build pressure on Tamil Nadu Pollution Control Board (TNPCB) and HUL to commit to a world class clean-up in the coming months.